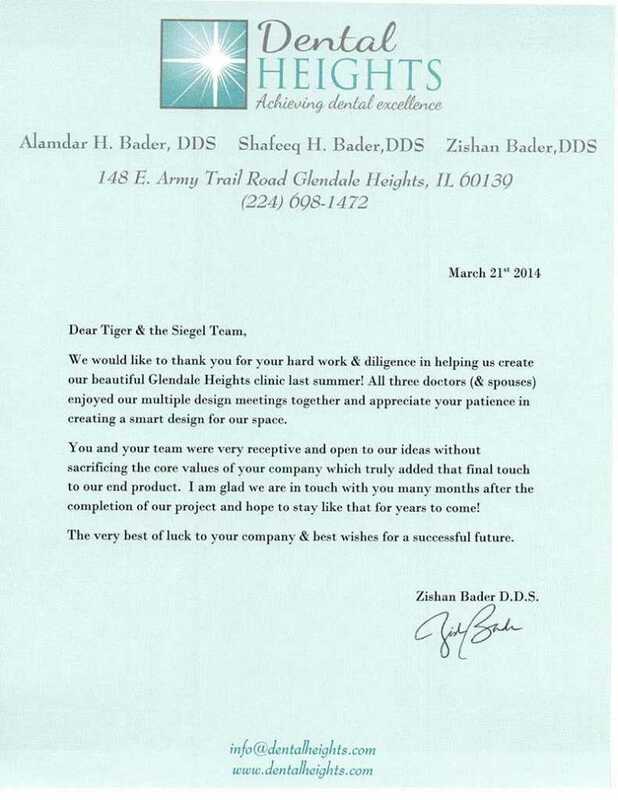 Siegel Construction coordinated architectural code compliance, ADA compliance, interior design, and construction services to the General Dentistry office of Dr. Zishan Bader, DDS located in Glendale Heights, IL. The office has 5 treatment rooms, consultation room, sterilization, laboratory, PAN x-ray, quite room and a staff lounge. The project was completed on time and below the budget.